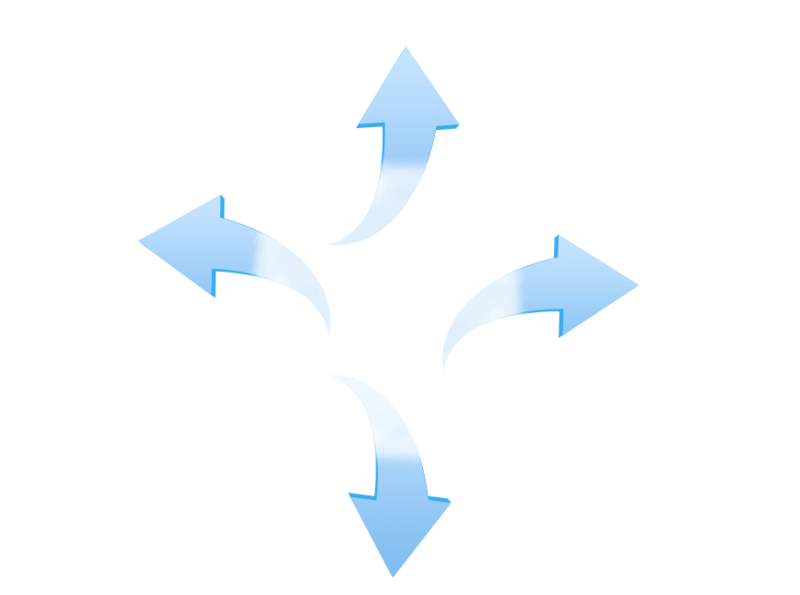 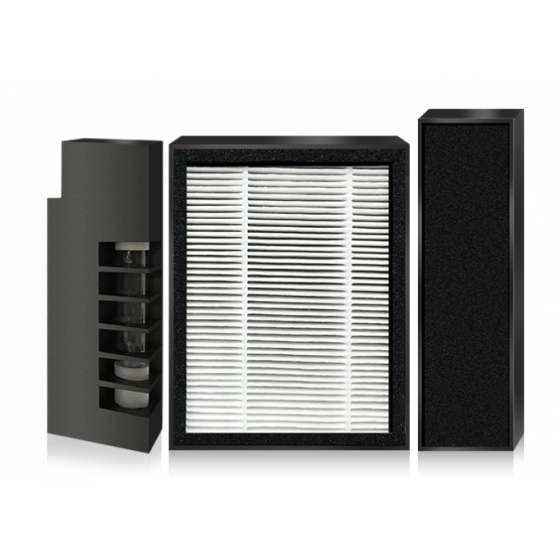 Effective air purification systems play an extremely important role in improving indoor air quality. 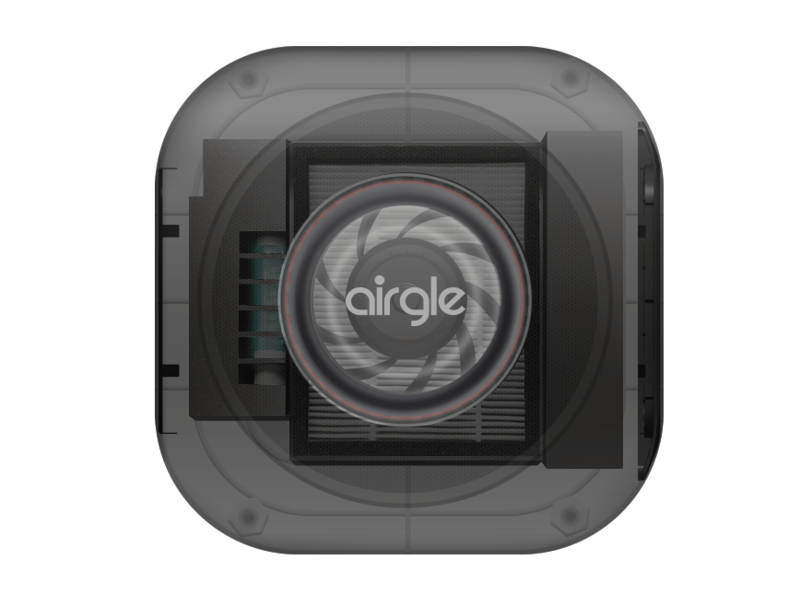 Airgle uses filtration technology to remove airborne pollutants such as smoke, formaldehyde and other pollutants. 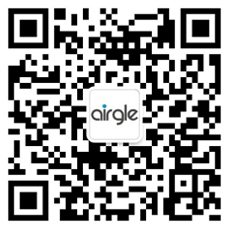 Airgle Air Purifiers not only absorb smoke, odors and other volatile organic compounds, but also efficiently degrade interior renovation pollution, such as formaldehyde and benzene. 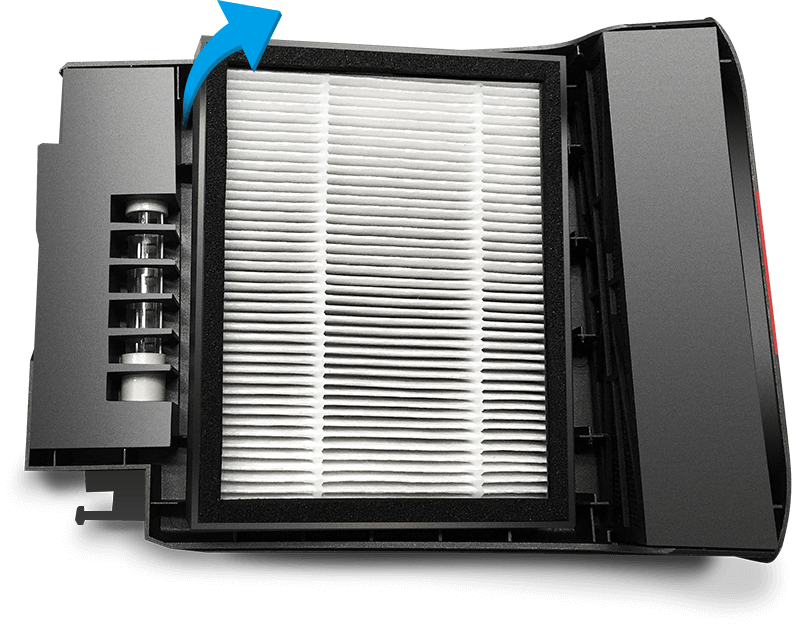 Airgle cHEPA filtration technology is equipped with a 1.08 sq ft. cHEPA filter, which has an efficiency of 99.999% for 0.003 micron particles. 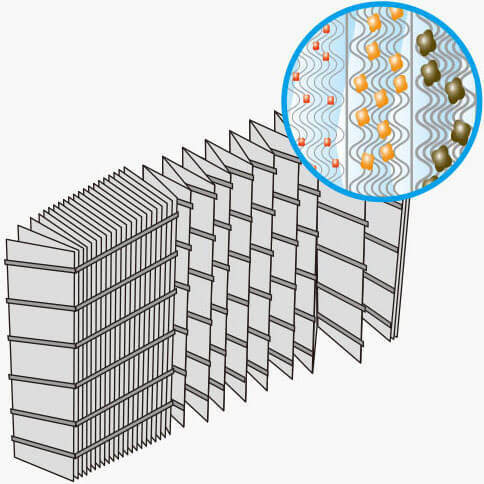 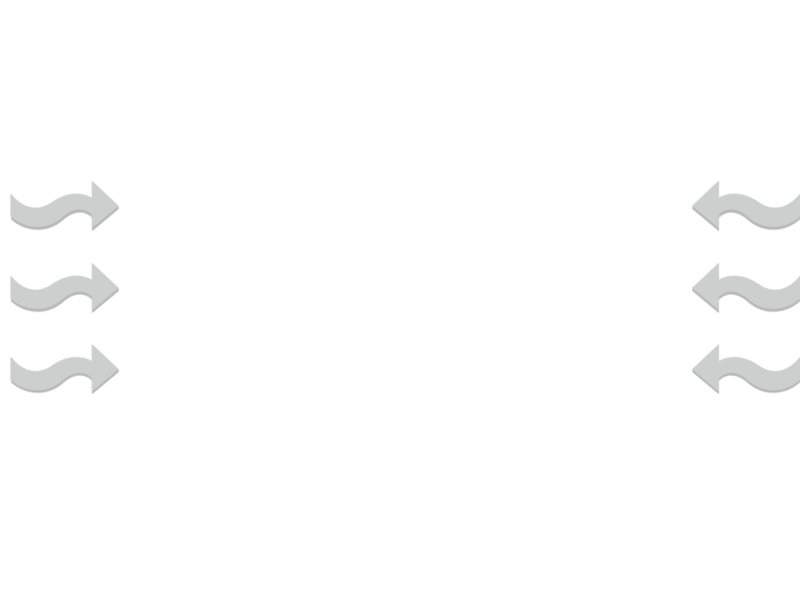 It has distinguished purification effects in filtering indoor air pollutants; such as dust, pollen, smoke, animal dander and more. 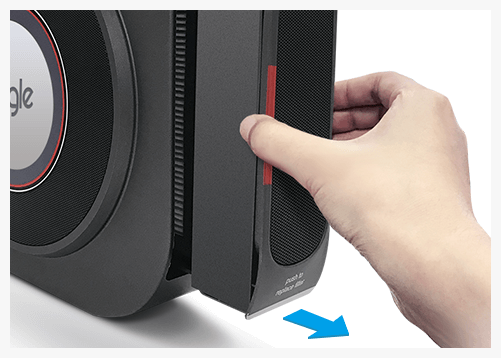 Airgle Air Purifier features a smart filter life indicator, which conveniently displays the filter life levels at all times, as well as alerts you when it’s time to replace the filter. 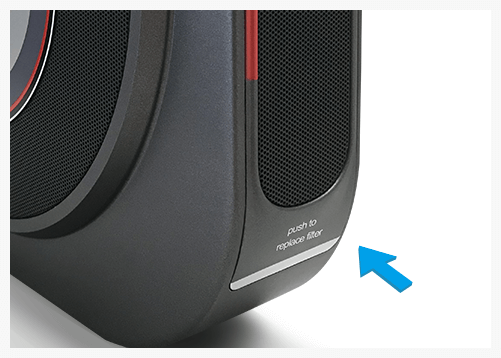 Step 1: Press down" push to tttttreplace filter"
Indicator light is off and the filter is reset.